Highlands Ranch roofing companies rarely get any rest. Whether it’s winter or summer, you can usually hear the sound of a roofing nail gun. Recently the weather has been snowy, but come next week, the 50 degree temperatures return, along with the roofing crews. New Roof Plus has an office in Highlands Ranch and one of it’s owners has lived there most of his life. We take a lot of pride in serving this fine area. A weird thing about Highlands Ranch is that there is no elected government. It is owned and managed by a corporation – Shea Homes. There is no mayor. It’s not technically a city. 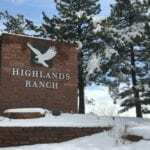 According to Wikipedia Highlands Ranch is called a “census designated place”. That’s awesome! No matter what they call it, it is a very beautiful place to live, great schools, wonderful trails, a few good restaurants and great people from all over the USA. It is a melting pot like much of Denver. If your Highlands Ranch home needs a roof inspection, please give us a call. We are the best at it and since we have an office in town – we can be there fast!